Take the pledge! You are one step closer to stopping underage drinking. 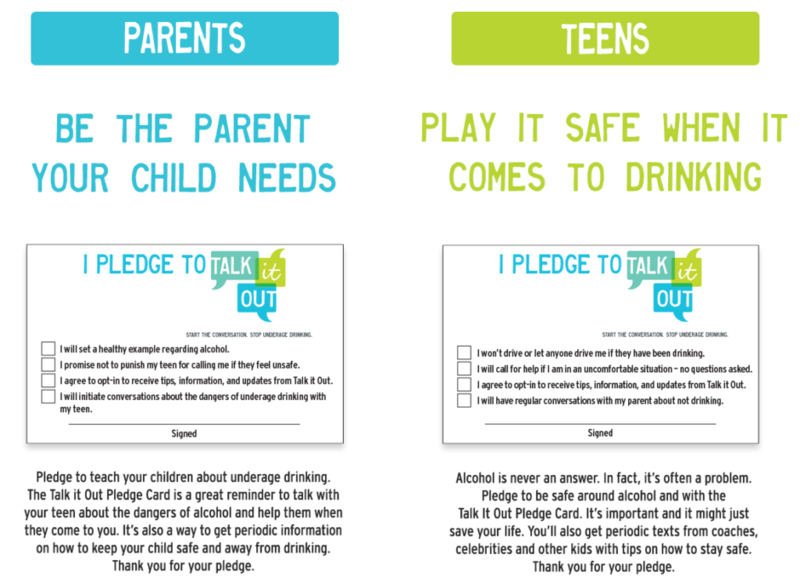 Yes, I opt-in for my teen to receive periodic text messages about underage drinking from Talk It Out only. We will not share your personal data with any outside companies. You may request to be removed any time by calling (919) 779-8351 or by mail 400 East Tryon Road, Raleigh NC 27610.